On Thursday, December 28, guests and laureates for the Global Lithuania Awards 2018 gathered at the Town Hall. 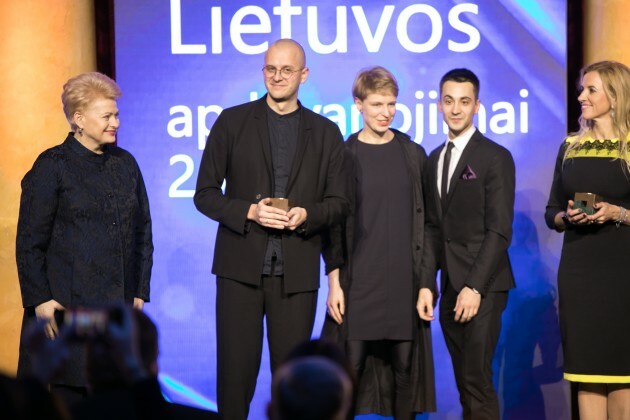 With the now sixth year of these awards, international Lithuanians and Lithuania-related business, culture and science professionals, talents seeking to create a successful and acknowledged Lithuania on the global level were honoured. 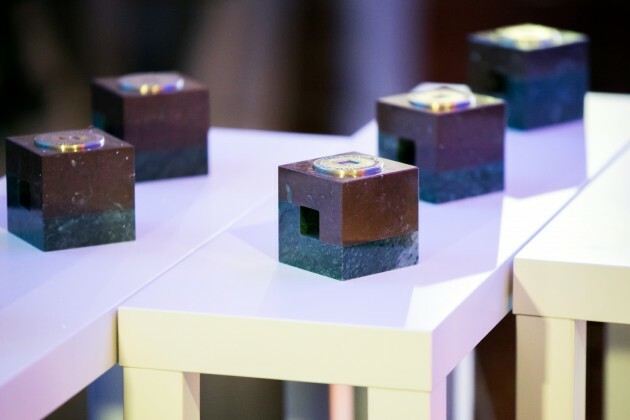 This year 33 nominees in 9 different categories from 8 different countries were presented in the Global Lithuania Awards. 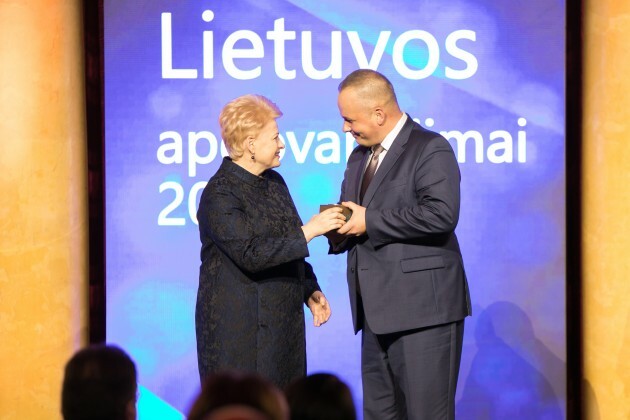 The patron of the awards, President Dalia Grybauskaitė awarded laureates with statues, representing the ideas of strength and integration, made by sculptor Stasys Žirgulis exclusively for the event. Tadas Vizgirda, born and raised in the USA, has built his life and career in Lithuania since the early 1990s. In 2014 he convinced the management of "Revel Systems" to choose Lithuania for their European subsidiary, this year one more of his projects "Harbortouch" started its first operations outside the USA and is now also based in Vilnius, Lithuania. "Harbourtouch" has more than 63 employees with exceptional talents from all over the world. After many years of studies and work at Strasbourg and Harvard universities, in 2011, VU alumnus Dr. Linas Mažutis came back to Lithuania and together with professor A. Janulaitis established the Laboratory of Microtechnologies working with droplet microfluidics. It became the point of attraction and learning facility for talented scientists. Besides, Linas runs biotechnological start-up "Droplet Genomics". After studies and work in Denmark, Dovydas Kaminskas came back to his hometown Tauragė upon the invitation of the newly elected mayor. Thanks to his efforts, Tauragė became the first Global Region in Lithuania with the special registration platform for all global Tauragė-borns. Besides, Tauragė joined sister-city platform UBC – United Baltic Cities and their projects. Still at Connecticut University in the USA, Marius Jurgilas in cooperation with other Lithuanian researchers in Economics initiated the eight-year old tradition of Annual Conference of Researchers in Economics that grew into a strong network. As the Board Member of the Bank of Lithuania, he initiated a number of reforms of financial sector, brought on board international researchers for formulation of decisions of strategic importance. "TransferGo" was founded while searching for cheaper and faster alternatives to regular bank transfers. Start-up grew into a solid platform of international payments, in five years attracted about 13 million USD in investments, the most recent of which came this year from Swedish Board of Risk Capital Funds. This year, the CEO and co-founder of "TransferGo" Daumantas Dvilinskas got among Forbes Top 30 under 30 in Finance in Europe. KILD project and architects Petras Išora, Ona Lozuraitytė, Ivane Ksnelashvili and Dominykas Daunys were selected to design and construct Yangjaegogae Bridge over 11-line highway connecting two mountain ranges in Southern Seoul. The selection panel paid attention to the integral nature of the project playing with natural surroundings and landscape of South Korea. Rotary Club of Chicagoland Lithuanians was established in 2007 by the active community of Lithuanian entrepreneurs who have been using it as the platform for charity fundraising for numerous projects in Lithuania: insulin pumps for children with diabetes, mother-milk bank in Kaunas, rehabilitation centre of children with cancer in Vilnius and many more. Rūta Laukien has lived in the USA since her studies. After her impressive career in investment banking on Wall Street, she indulged in the project promoting Lithuanian artists and designers in the creative manner of a high-class restaurant in Boston "Liquid Art House". She is one of the most active Investment Ambassadors connecting "Invest Lithuania" with top managers from international companies and ensuring access to exclusive investment conferences. 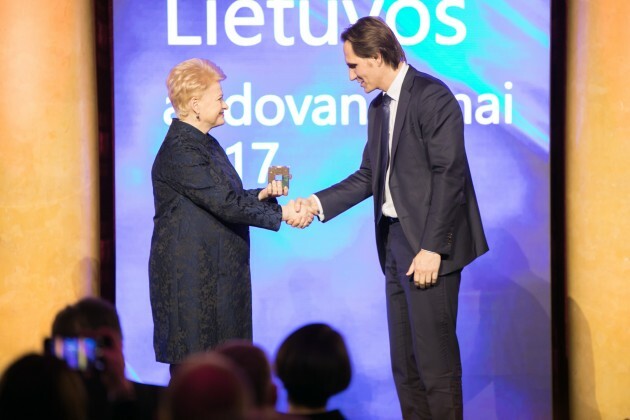 Since its inception in 1962, the Lithuanian Foundation has advanced its goals by awarding $18,000,000 in grants and scholarships. This includes a special, one-time capital fund disbursement of more than a million dollar aid Lithuania's educational and cultural institutions. The bulk of the funds were designated to the preservation of Lithuanian heritage and projects that are related to this cause: education, culture, art, science projects, public and youth events, student scholarships. With the support of the Lithuanian Fund, Lithuanian schools can continue working all around the world, Lithuanian books are being published, foreign Lithuanian parliaments are being organized, as well as various events relating to the promotions of Lithuanian culture and heritage. At the beginning of the ceremony Kęstutis Šliužas, CEO of "Telia Lietuva" presented special video project about success stories from Lithuanians who were living abroad for a long time and decided to pursue their career at home and bringing innovative mind-set and international experience to their home country. 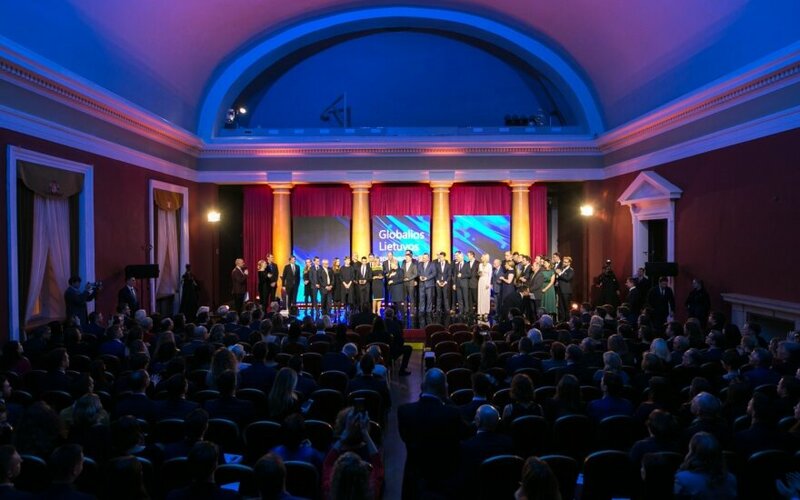 The Global Lithuania Awards celebrate international professionals who associate themselves with Lithuania, who through their talent and work open new global opportunities and perspectives for Lithuania. 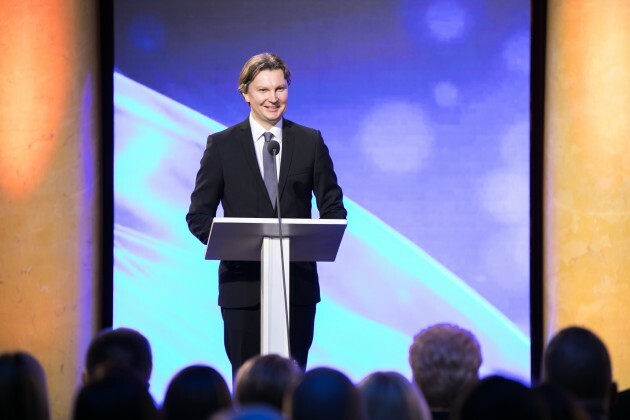 The awards seek to notice and acknowledge the weighty contributions of global Lithuanians. 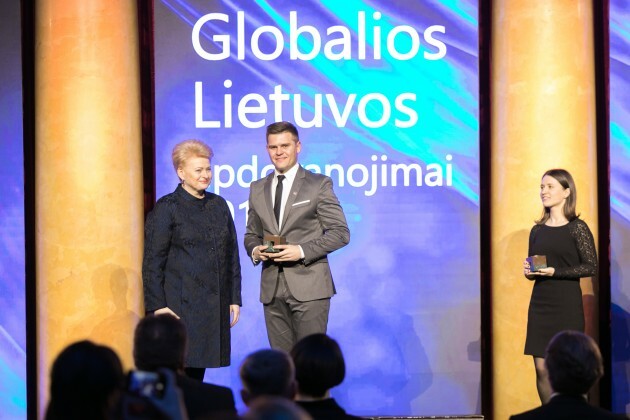 The Global Lithuanian Awards are organised by the international network of professionals, Global Lithuanian Leaders, which gathers representatives of the Lithuanian diaspora to make their homeland's name known, to strengthen its economic and public potential and to create global opportunities for Lithuania. The awards were organised in partnership with the Ministry of Foreign Affairs and sponsors: IT and telecommunications company "Telia", one of the leading law firms "Triniti" and the largest recruitment consultancy „Alliance for recruitment". 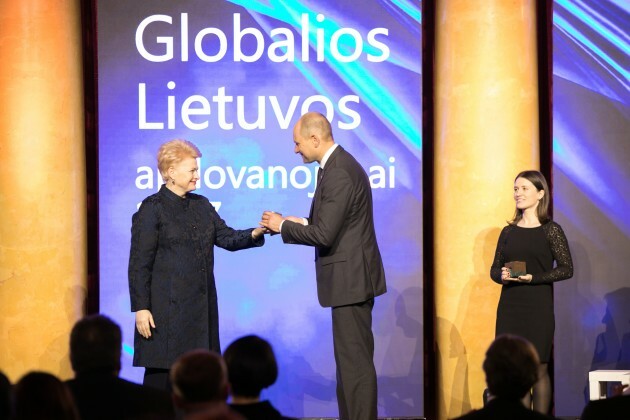 President Dalia Grybauskaitė is the patron of the Global Lithuania Awards.